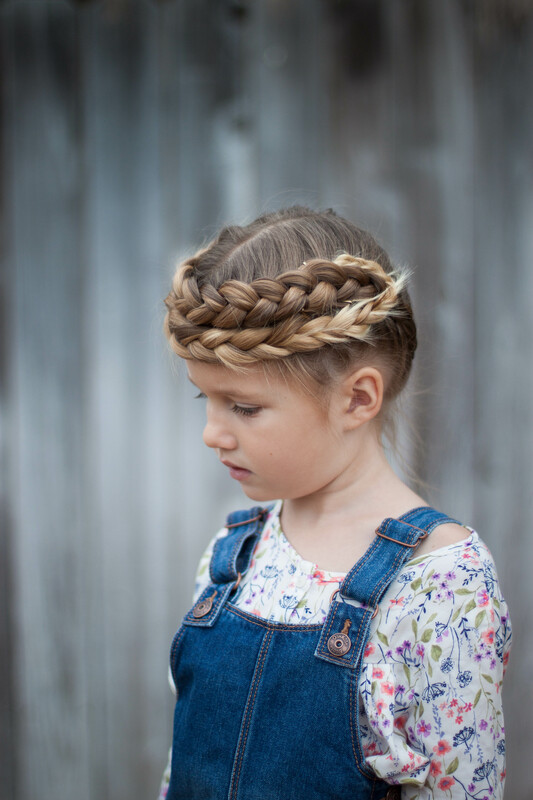 One of our favorite go to braids over here at Abella’s Braids is the crown braid. There are so many different ways to wear one! The best part about a crown braid is that it’s up and out of your face and evenly distributed on your head, so it’s comfortable to wear! The other great part about it is that it’s pretty easy and quick to do once you get it down! We wanted to give you a little inspiration this month on different ways you can wear a crown braid! Our heat wave has yet to come here in California. We usually get one in September some time. I’ll for sure be wearing a crown braid during the coming heat to keep my hair up and away from my neck so I’ll stay nice an cool! My favorite way to wear a crown braid on myself is parted down the middle, then braided starting at the bottom of one side and up and around to the other. 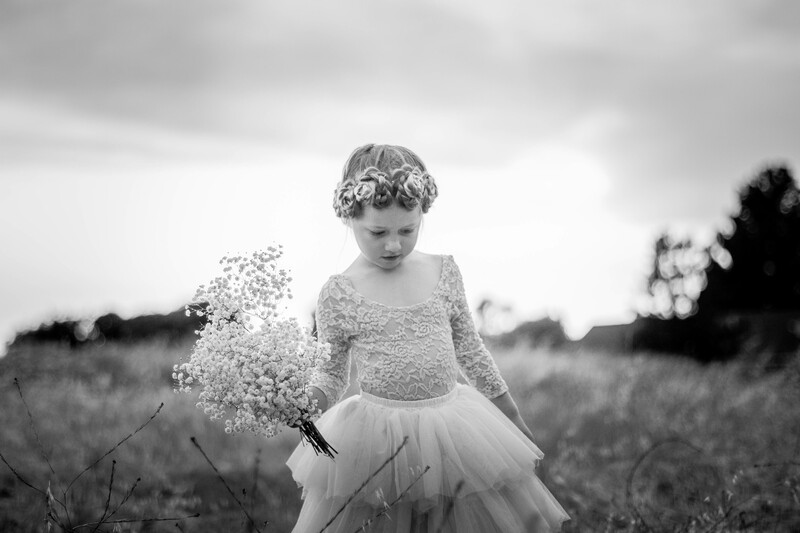 This is me in the photo, and I wore this braid back in August to dinner for my 14th wedding anniversary! The waiter was completely impressed and couldn’t stop talking about it. Every time I wear it like this, I get so many compliments! I did a dutch version on myself because I have really thick hair and I love the way I can pancake it out and make it even BIGGER! Usually I pin the braid into a circle but I decided to leave it down going over one shoulder for this occasion. This is the same braid on Charlie, only in Dutch Fishtail braid form! This one takes a lot more time because fishtail braids are time consuming! But I thought it was well worth it. I love how messy you can make a fishtail braid if desired. This one we kept pretty clean, though! I love how the crown braid on Charlie really makes her natural ombre stand out! 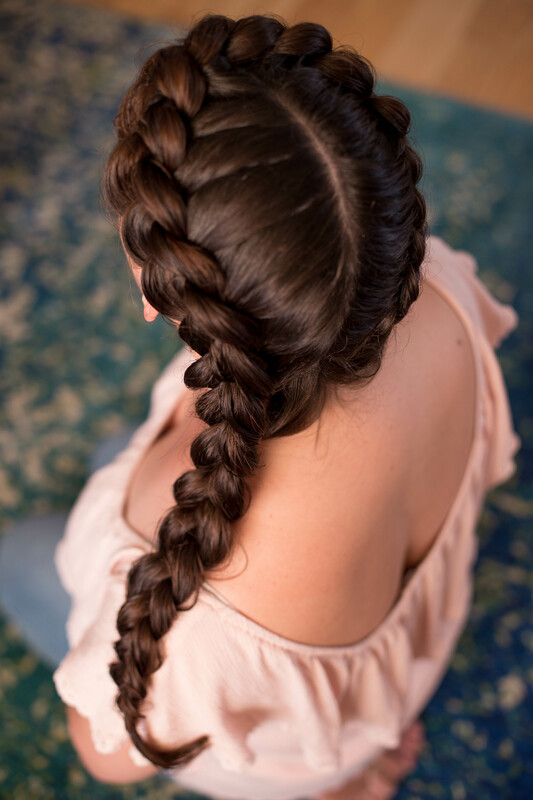 For a thicker braid in the front, you can start the same, by parting your hair down the middle and braiding each side from the bottom up. Cross the braids over each other in the front and pin them down. I had to tuck the ends in on the sides and pin them down carefully but it held really well! This one made her super blonde ends stand out even more on the sides! 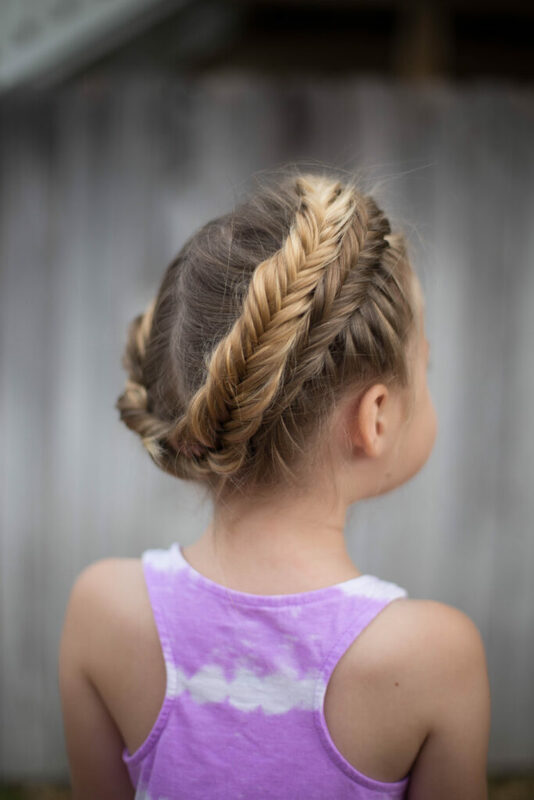 If your hair is a little longer than Charlie’s, it would look really cute to wrap them all the way into a circle so that they connect in the back, but either way is beautiful! 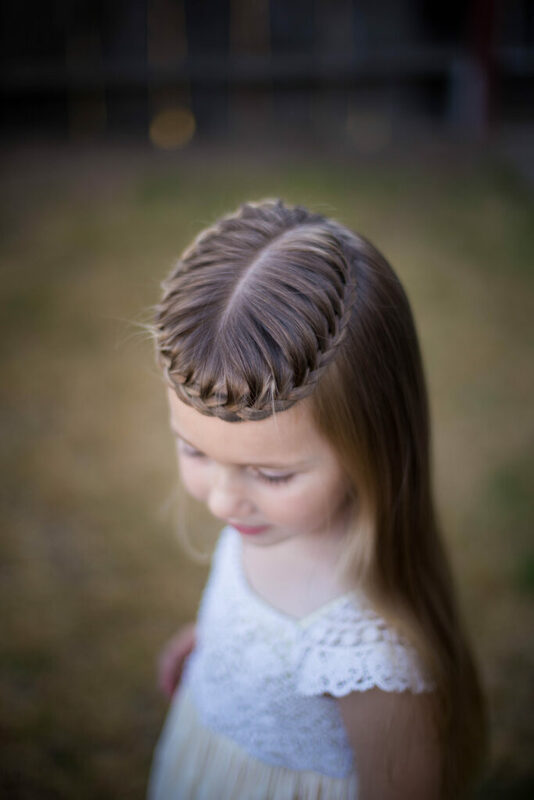 There’s no rule that crown braids have to be using the whole head of hair! Try a crown braid only using half or less of the hair like this style I did on Charlie! 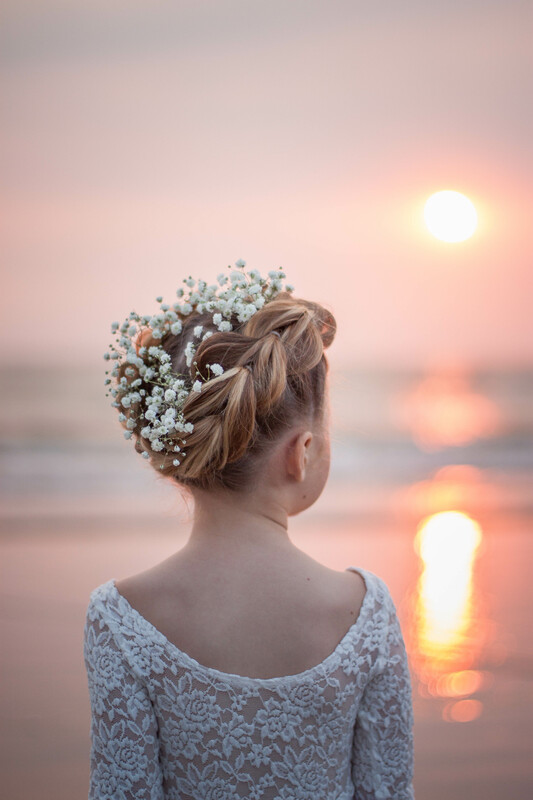 Add some curls to make the style more fancy for a special occasion! 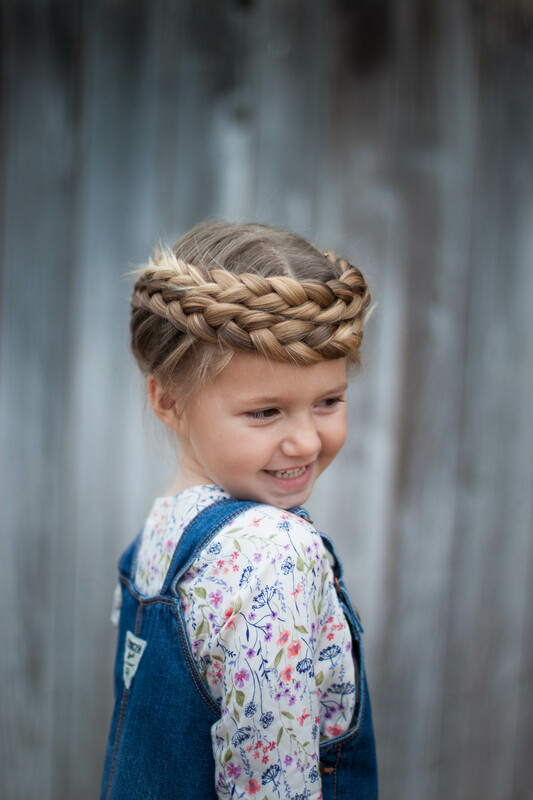 We hope this post inspired you to get creative with crown braids! 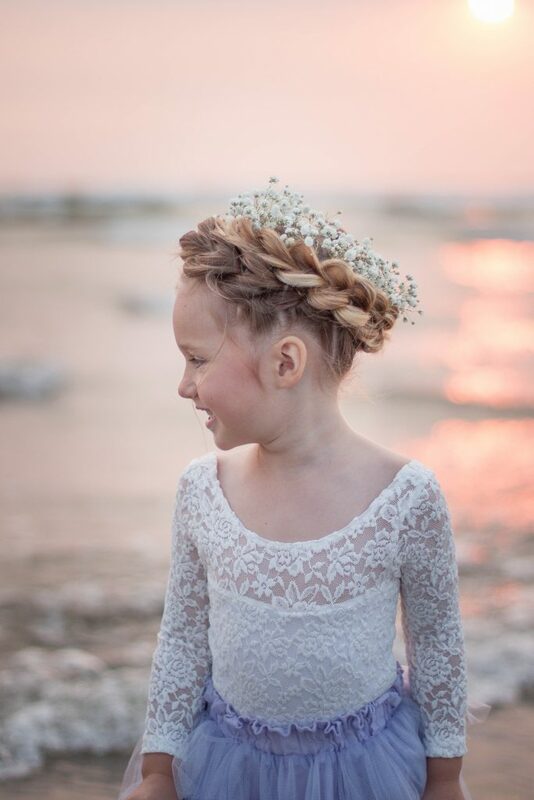 For more inspiration, check us out at Abella’s Braids or @abellasbraids on Instagram!